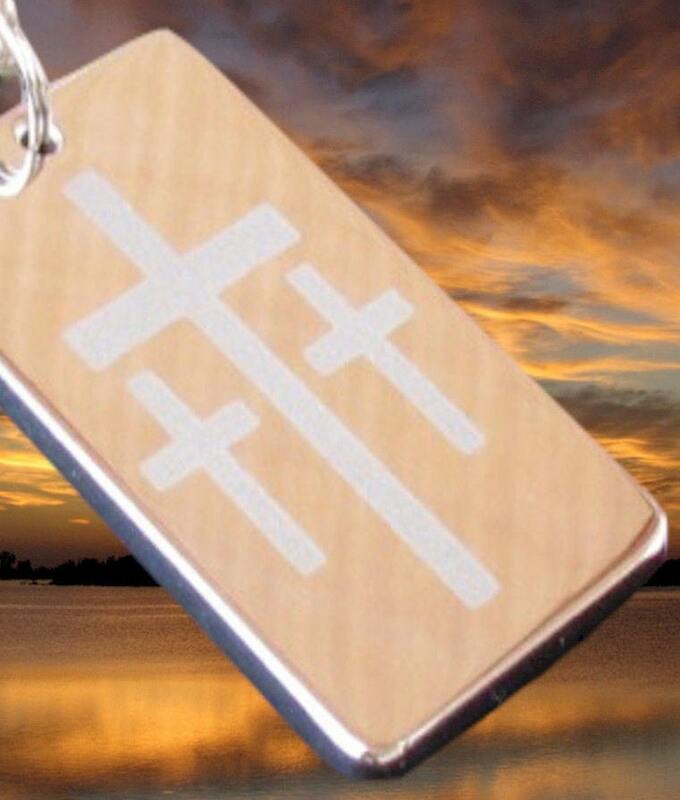 Elegant High Gloss Calvary 3 Cross DogTag Style Pendant. Sized 1 1/2” high x 7/8” wide x 1/16” thick. 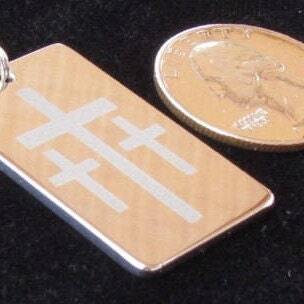 The heavy gauge Cross is polished & etched to sparkle and reflect light from all directions. The Stainless Steel Cross will retain it's luster for many years to come. 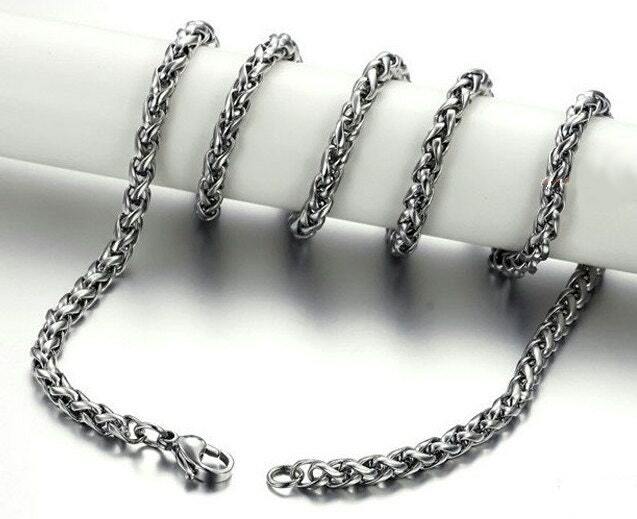 Chain: Our exclusive HEAVY 4mm x 20" Braided Chain. 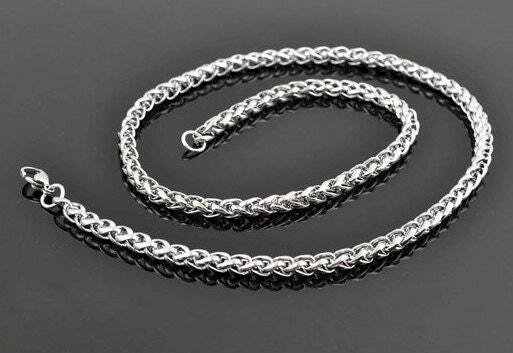 This chain is all stainless steel including the positive locking lobster clasp and normally sells individually for $18.00. The large center Cross is Christ's Cross of Redemption. The Medium Cross is the Cross of Remorse. The smallest Cross is the Cross of Rejection. Both of the thieve Crosses are dwarfed by the brilliance of Christ's Cross. Very High Quality for such an excellent price. A Saint Michaels Jewelry Exclusive Design.